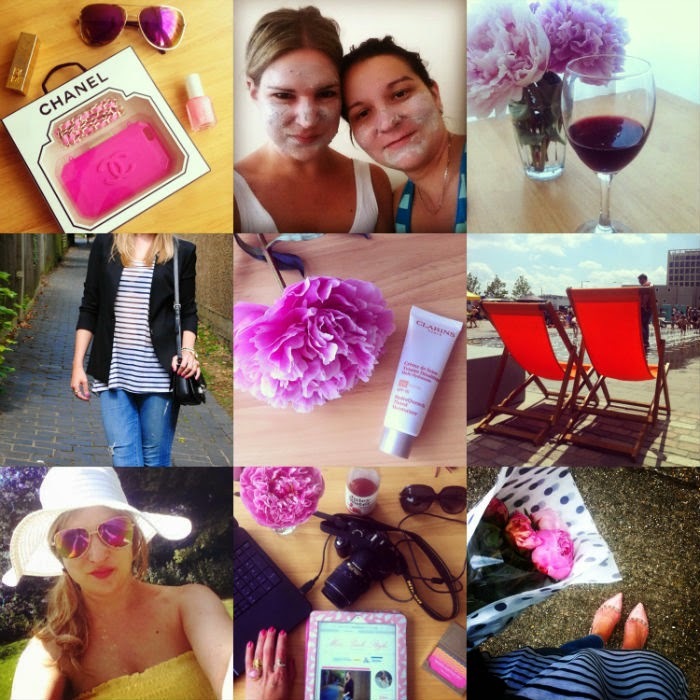 Summer is in full swing so I thought I’d share with you few of my must haves I couldn’t currently be without. In the Summer months I always wear minimal make up, switching my foundation to tinted moisturizer. I’ve been using Chanel for years but this year I decided to try the new one from Clarins. I swear by their skincare and this did not disappoint. White and gold are my favourite colours to wear during the hot months, so I just added these Barry M nail polishes to my collection (treasure chest and coconut). They last well and are such a bargain I love them. The Multiple by Nars is a godsend. I can’t get enough and plan to get loads of different colours. This Riviera one is a dusky pink and I’ve been putting it on my eyelids and lips as well (it’s not call Multiple for nothing..). The consistency is amazing, it feels great on the skin, lasts well and it’s soft and dewy – perfect for Summer. Now on the least glamorous – a deodorant. Let’s face it – we all sweat in the summer and this one by Dove is the best deodorant I’ve tried in a while. What are you Summer beauty must haves? Shoes Christian Louboutin, bag Clarins, shorts and top H&M, sunglasses Dior, earrings New look, watch Michael Kors, rings YSL and H&M. New Chanel Iphone case, pampering Saturday with Lush mask (review coming up tomorrow), glass of red and peonies make for a nice evening, can’t get enough of stripes, Clarins tinted moisturiser (review coming up), enjoying sunny London on sun loungers, picnic and sunbathing selfie, busy afternoon editing photos, buying peonies – may the season last forever?! Welcome to another week. Last week was a good one for me (very productive with some good news thrown in) so I hope for the same this week. Here’s what I’ve been up to lately. Spring is officially here! I couldn’t be happier and all I think about is getting my wardrobe and make-up bag ready. 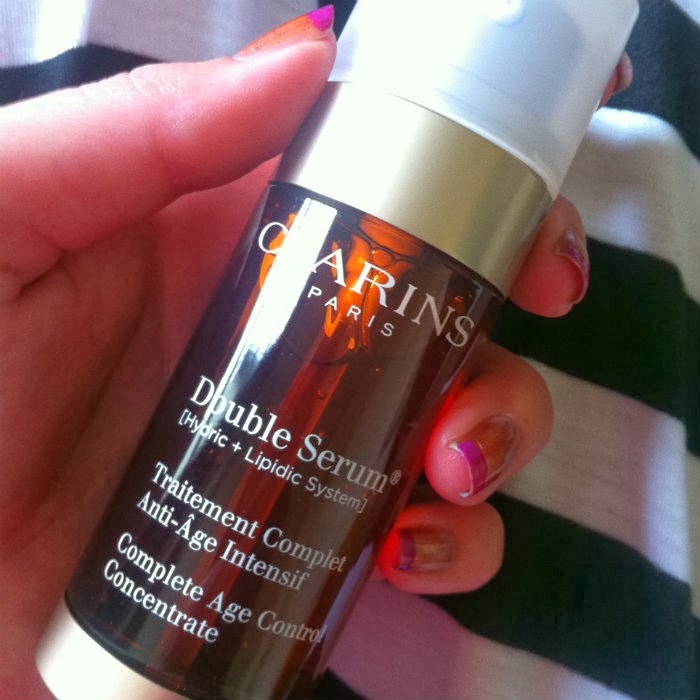 I’m definitely re-purchasing Clarins double serum as I’m about to run out and it made a huge difference to my skin. I want to add the Clinique City block, because of my sensitive skin. You can never protect against sun too much. 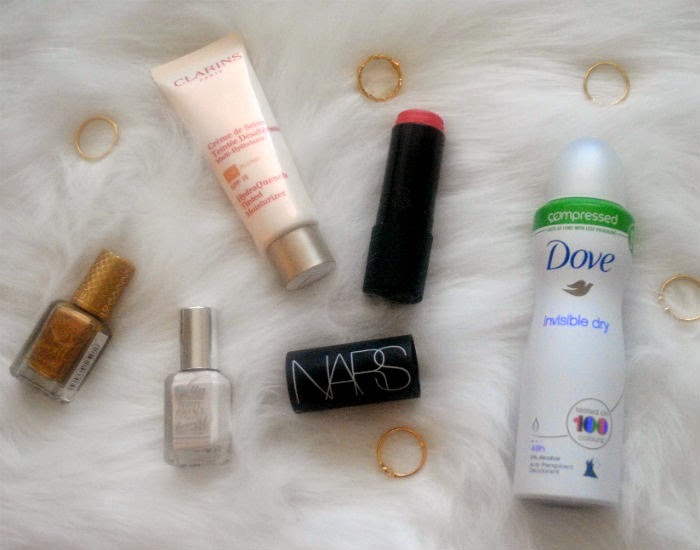 New polishes and lipsticks are always on my list and a new perfume for Spring is a must. Looking for a lighter scent. What’s on your make up wishlist for Spring? I don’t blog about beauty as much as I’d like. This is partially due to the fact that I’m quite low-maintenance when it comes to skincare and make up. But since reading loads of beauty blogs and becoming somewhat a lipstick addict I thought I’d do an update on few favourite things. You can read about my skincare routine here and my make-up must haves here, these product have now become important part of my routine too and need to be mentioned! By now you may know I’m a big Clarins fan..
Clarins Double serum – I tried quite a few testers before buying it, but knew very soon that I’d be purchasing. Changed my skin for better (it was becoming very dry especially at forehead and nothing else was helping) and now I can’t imagine not using it. It is a bit pricey but worth every penny. Followed by YSL Touche eclate – (no woman should be without it). Clarins Hydra-quench mask – again I had a tester first and loved it. Smells amazing and hydrates beautifully. Nars Schiap and Funny face – have become my favourite lipsticks. 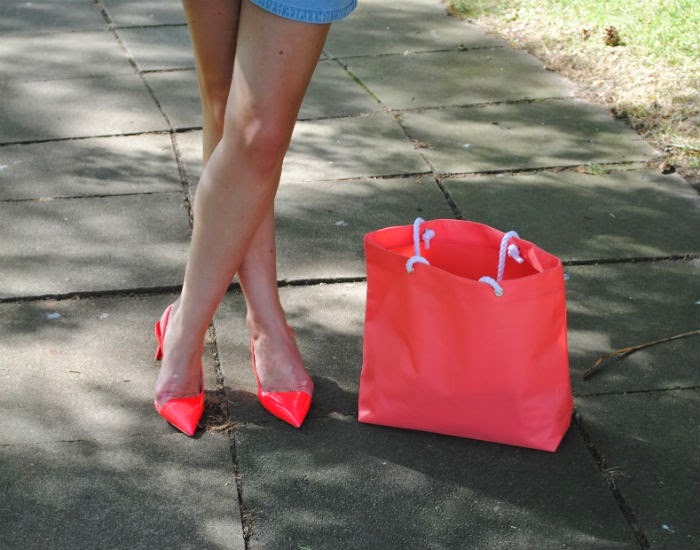 Schiap (pictured) is very bright pink and is perfect finishing touch to a dull outfit. Funny face is darker pink and I love it for every day. They are very moisturizing and feel nice on and I will be definitely buying more. Have you discovered any beauty must-haves lately? 2. 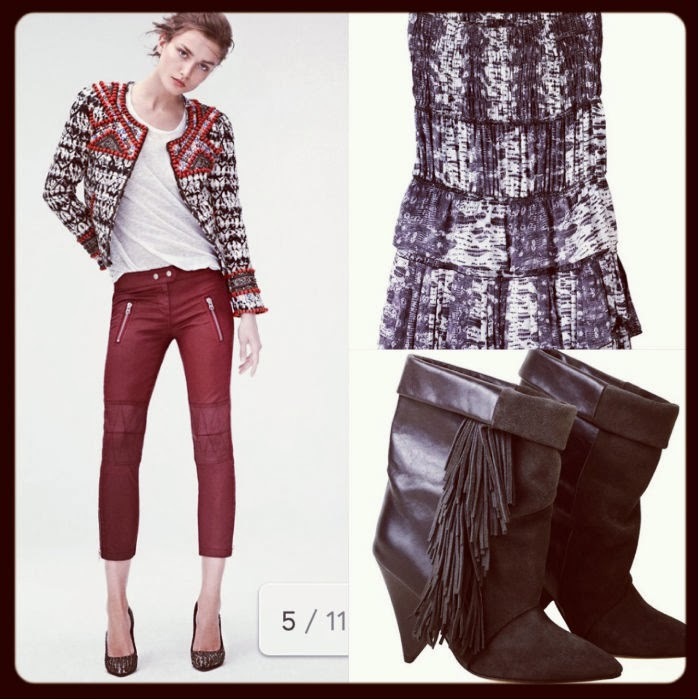 I can’t wait for the Isabel Marant X H&M collection to hit stores on Nov 14th. Here’s few bits I’m hoping to snap up. What are you eyeing up? 5. 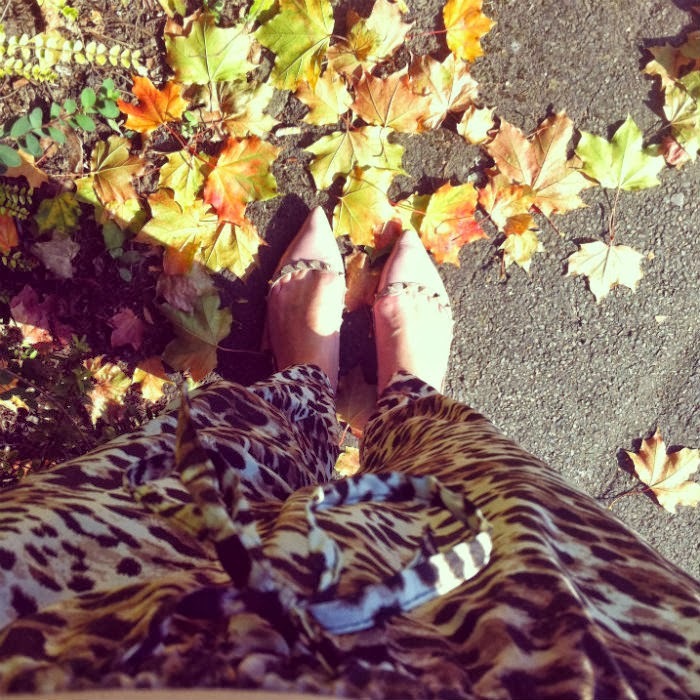 My Valentino flats are perfect for walks on these beautiful sunny autumn days which I’m really enjoying. 1. My favourite look of my favourite editorial in September’s Vogue. Cara is styled to perfection. The outfit, the hair, the pink peonies.. Love it! 2. 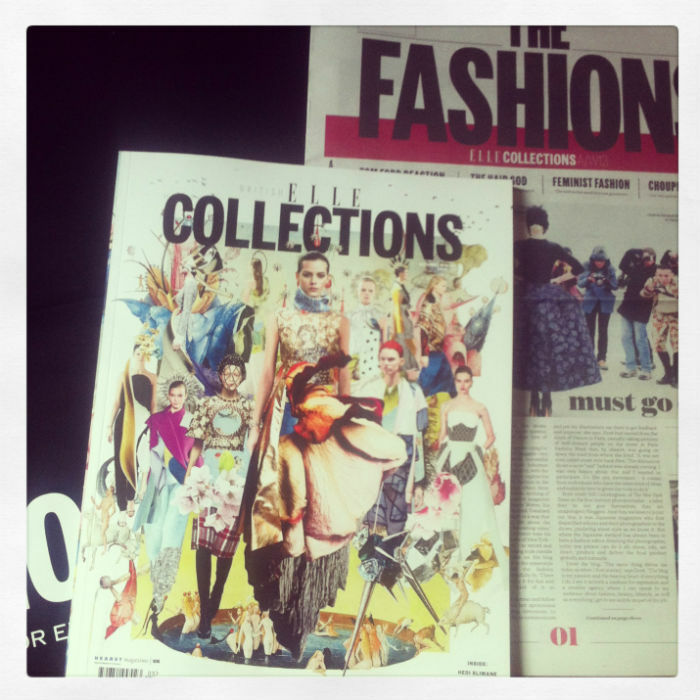 I’m always looking forward to ELLE’s collections – must-have for any fashionista! 3. August has arrived meaning September issues are out (fashion’s logic). I’ve enjoyed my evenings buried into the fashion’s best monthly. 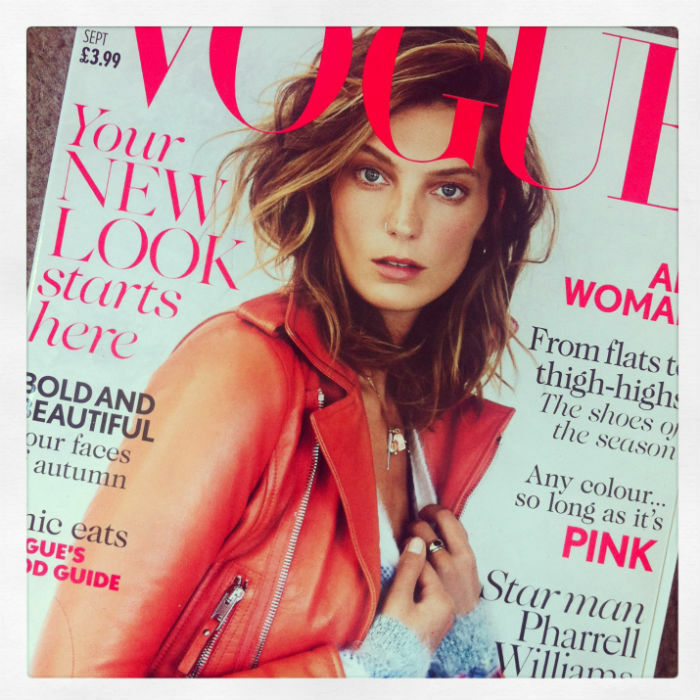 I also happen to be a big fan of Daria Werbowy. 4. Last week was full of good news and little personal achievements. 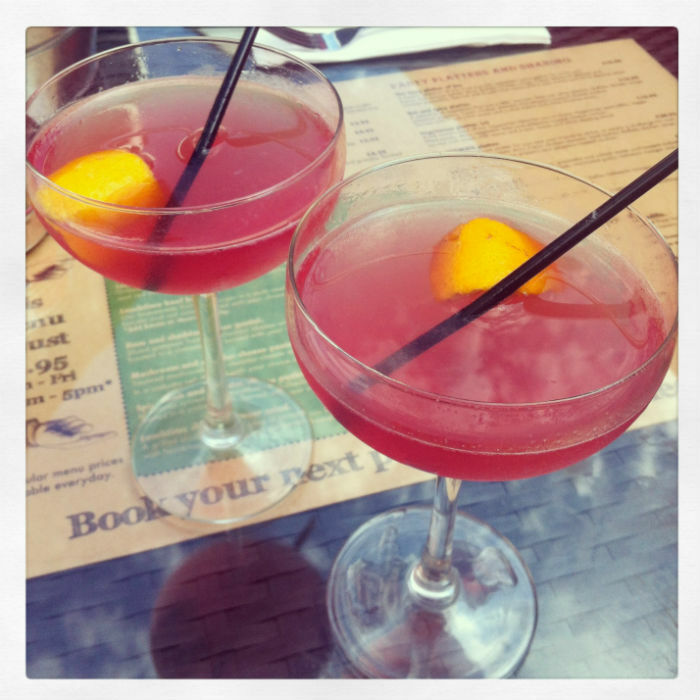 That of course calls for a celebration with a Cosmo or two..
5. Is there a better way to spend an evening than watching girly movies with a mask on? !